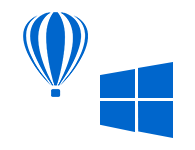 In order to repair damaged or corrupt CDR file, a user can simply use CDR Recovery Software without any doubt. It is a tool that can repair CorelDRAW files without compromising a single bit of information. It generates an instant preview of all data stored in it. With the help of CorelDRAW File Repair tool, a user can recover data from any type of damaged CDR file and resolve all corruption issues. Apart from repairing corrupt CDR file, it provides the preview of each data item stored in it along with the size & date of the file. Another impressive feature of this CDR Repair Tool is that it permits users to recover multiple CDR files at once. After recovering CorelDRAW file data, the software provides an option to save data in CDR format. A user can save the recovered data at any desired location or can create new folder as well. CorelDRAW File Repair Tool is designed in such a manner that it supports CorelDRAW x5/ x6/ x7 and all above versions. Apart from all this, a user can run the software on any version of MS Windows operating system without any restriction. Moreover, the tool maintains the data integrity after the export process. After the successful recovery of the CDR files, a user can view all the images with the help of the CDR Recovery Tool. With the advanced feature available in this software, a user can minimize and maximize the size of the image and view the file. There is no limitation on the file size of the CDR file. 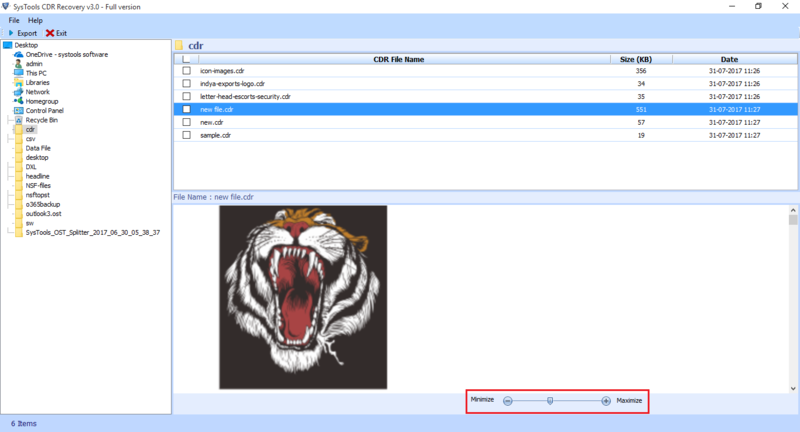 A user can easily add CorelDRAW file of any size and view all the contents of the file. If your file is damaged, then also this utility can open all the files with same folder structure and meta attributes. 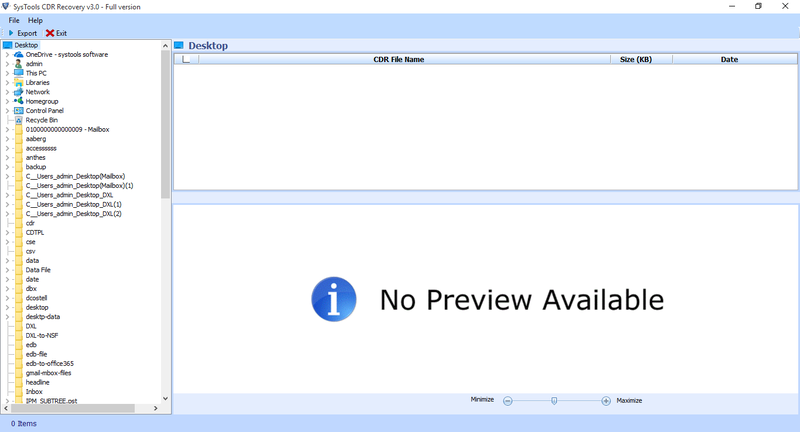 Demo version of CDR Recovery software shows the preview of data in corrupted & damaged CDR Files. You can export recovered CDR file in CDR file format. Explain the functioning of CDR Recovery Tool? 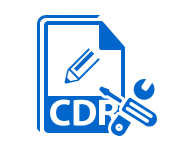 Step 1: Install & run CDR File Repair Tool. Step 2: All the files and folder will appear on the left side of the window. Step 3: Browse and select the corrupted CDR file of any size. Step 4: After complete scanning of the damaged file, the software will load all the data contents of the file. Step 5: You can preview each and every image by minimizing and maximizing the size of the image. Step 6: Click on Export button to save the recovered CDR file into CDR file format. Is it possible to save recovered CDR file data on the local machine? Yes, after recovering damaged CDR file data, a user can save the data in CDR format at any desired location on the local machine. Does the CDR Recovery Tool retain data integrity after exporting data to CDR format? Yes, the tool preserves the integrity of data even after exporting it to CDR format. It repairs damaged CDR file without any loss of information. Can I recover multiple CDR files at once using this software? 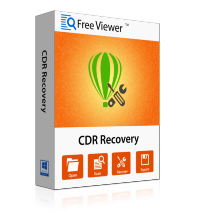 Yes, you are allowed to recover & export multiple CDR files in bulk using this application. 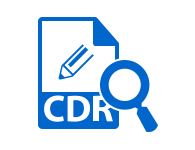 You just need to check the data items that you want to export, the CDR File Recovery tool will save that item only in CDR format. Is this application completely safe and secure from all type of viruses and malware? Yes, the CDR Repair tool is free from all types of viruses & malware. Moreover, it does not require any extra installation to launch the application on the local machine. 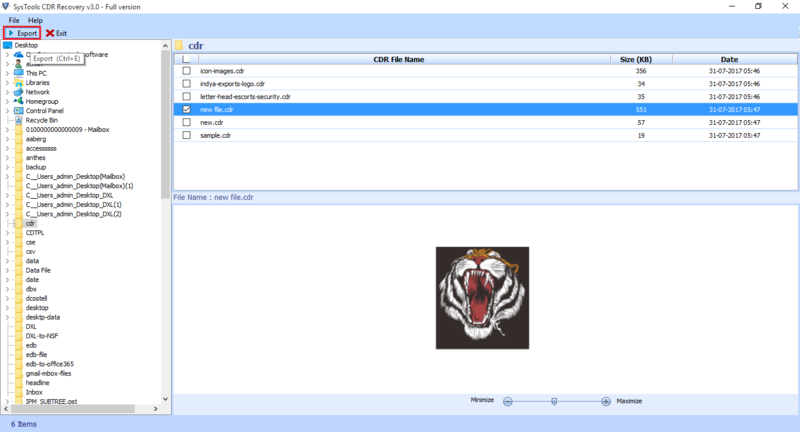 "It is a simple and easy-to-use application to recover damaged and corrupted CDR files. The user interface of the tool is so easy that I did not face any difficulty while using it. In my opinion, the CDR Recovery Software is a superb utility to remove all types of corruption issues from CDR file. Thanks to the developer for this application!" "I was having 5 damaged CDR files and I was looking for the software that allows me to repair all of them in one go. One day, my friend suggested using this CorelDRAW File Recovery Tool. I must that it is an amazing tool that provides satisfactory results. 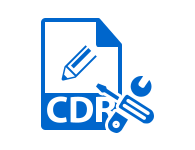 It can repair and exports all the 5 damaged CDR files in just a few number of clicks. Thanks!" "I have some important images in a CDR file. I was unable to open it due to some issues. I was unable to get the reasons for the file corruption. But after using CDR Recovery Software, I recovered my file and then, I was able to view them on my local machine. It was an easy task to use this tool!" "As a non-technical person, it was difficult for me to repair damaged CDR files. I have hundreds of important CorelDRAW files. It was near to impossible for me. Then, one of my friends suggested me CDR File Recovery Tool. I used this tool to recover data from those files in few minutes. Thanks, FreeViewer for this tool!"